Basuto War Victoria Cross recipient. Born in Ivybridge, Devon, he was serving during the Basuto War as a Surgeon-Major with the Cape Mounted Rifleman, South African Forces, at Moirosi's Mountain, Basutoland (now Lesotho), when he performed the deeds for which he was awarded the VC. His citation states that On 5 June 1879 in South Africa, Surgeon Major Hartley attended the wounded under fire at the unsuccessful attack at Morosi's Mountain. From an exposed position, on open ground, he carried in his arms a wounded corporal of the Cape Mounted Riflemen. The surgeon major then returned under severe enemy fire in order to dress the wounds of the other men of the storming party. He was later promoted to Surgeon-Colonel and served during the Second South African (Boer) War at Aliwal and Philippolis, where he was wounded. For his Boer War service he was created a a companion of the Order of St Michael and St George. He passed away at his home in Ash, Hampshire, at the age of 71. His medals are in the collection of the Army Medical Services Museum, Mytchett. BMJ Obituary; COLONEL EDMUND BARON HARTLEY, V.V., C.M.G., Cape Colony Medical Corps (retired), died of heart failure following influenza on March 20th, aged 71. He was tlje eldest son of Dr. Edmund Hartley of Ivybridge, Devon, where lie was born on May 6th, 1847. He served as a clerk in His Majesty's Inland Revenue from 1867 to 1869, after which he entered on the study of medicine-at St. George's Hospital, taking the diploma of M.R.C.S. in 1874 and that of L.R.C.P.Edin. in 1880. From 1874 to 1877 lhe was district surgeon in Basutoland. In 1877 he joined the Cape Colony forces as surgeon to the Cape Mounted Rifles; in 1878 he was appointed principal medical officer of these forces, and subsequently colonel in command of the Cape Medical Corps. He served in the Zulu war of 1877-79, including the Galeka, Gaisa, Morosi, Tembu, and Basuto campaigns, gaining the V.C., medal, and clasps; in the Bechuanaland expedition of 1897, when he was wounded; and in the South African war, 1900-2, receiving the medal with five clasps and the, C.M.G. 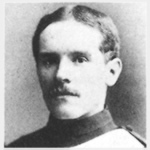 He was decorated with the Victoria Cross for valour in rescuing and bringing in wounded men under a heavy fire at the unsuccessful attack on Morosi's Mountain on June 5th, 1879. In 1955 the actual Victoria Cross medal was bought at Sotheby's for the then record price of £300. It is now displayed at the Army Medical Services Museum (Aldershot, England). He was initiated into Charles Egan Lodge No. 1975 whilst at Umtata, Africa on the 5th May 1883, probably one of 4 of its first initiates. He joined the British Kaffarian Lodge No. 853 shortly afterwards on 6th September 1883. He further joined Nyanza Lodge No. 1197, Ilminster as a retired Colonel, but resigned from the Lodge on 31st December 1918.